Do you remember your first sleepover? Feeling a little anxious, excited, and possibly a bit nervous as the sun began to set? Cam has known his buddy, Emma his entire life. He will tell you Emma is his best friend. 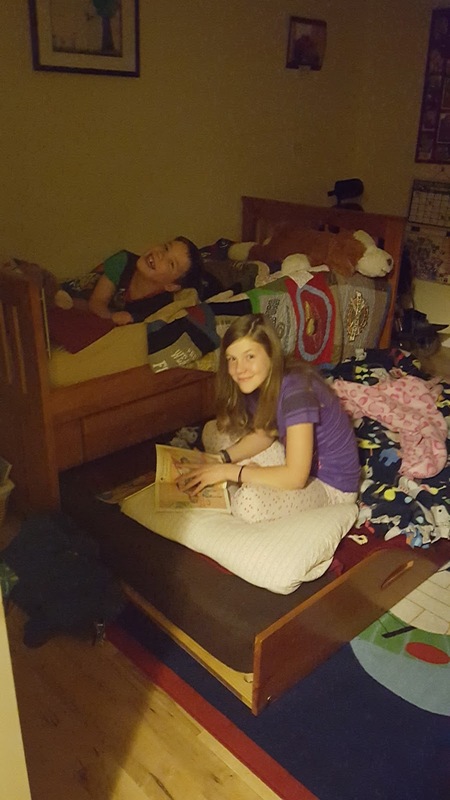 The two of them have talked about having a sleepover for a couple of years now and schedules finally aligned to make it happen. 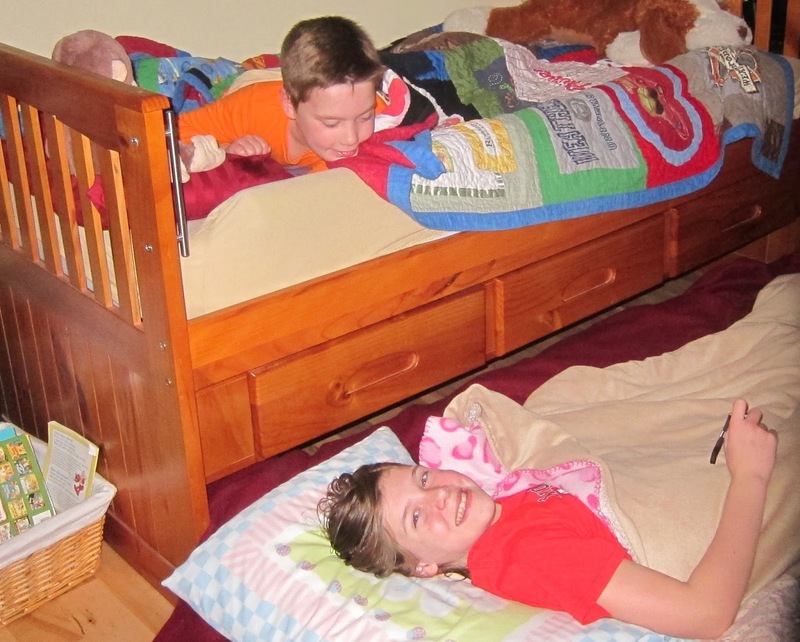 Cam's bed has a pull-out trundle which provides a perfect setup for spending the night. One of our favorite mottos- "If at first you don't succeed, try, try again." 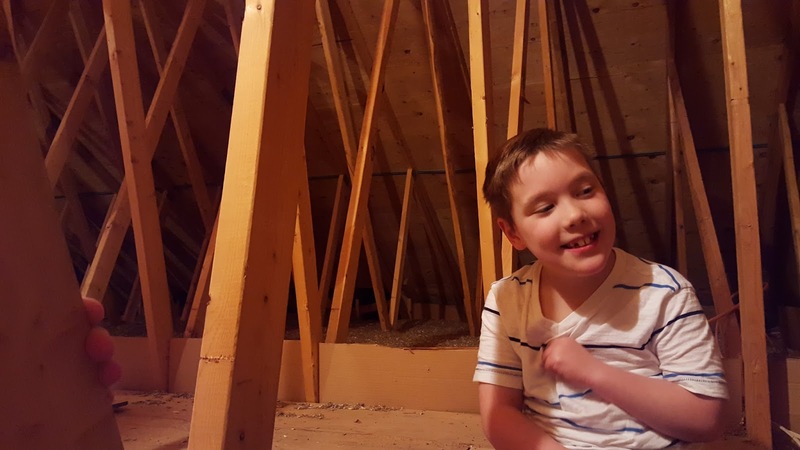 The first sleepover attempt after Halloween wasn't a total success since Cam woke up and had trouble going back to sleep. So, our second attempt was cause for celebration! Emma is a veteran sleepover attendee and came prepared with books, a flashlight and her favorite blanket. She told Cam stories and they fell asleep even before Chris and Jane did. The next morning, the sleepover duo woke up early thinking about their food options. Cam and Emma happily enjoyed a nutella pancake breakfast before hanging out and playing for awhile. She is like a big sister to Cam and we look forward to more sleepover parties in the future. Another new experience for Cam was heading up into the attic over our garage. A pull-down ladder provides a staircase to the area. 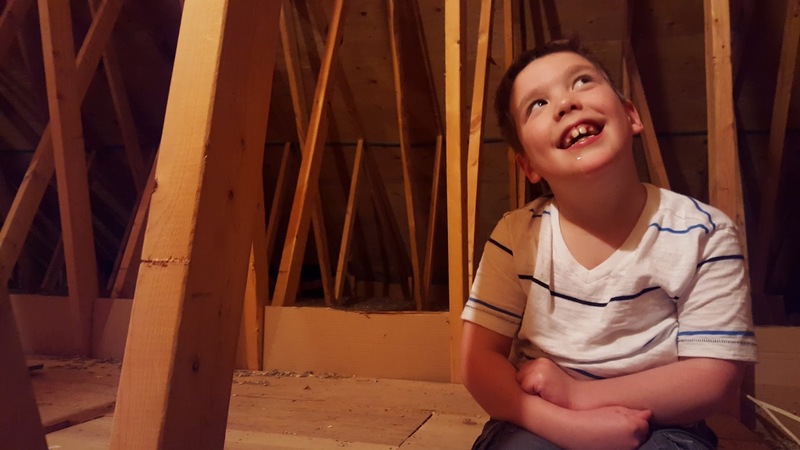 He told his dad "I have never been in the attic before" so Chris first placed the firetruck costume in there before bringing Cam. Always ready to try new things, Jane & Chris sometimes marvel at the fearless nature of their son. 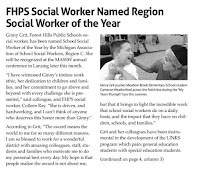 In other news...our community newsletter included a pic of Cam and Ms. Ginny who pushed Cam in a 5K race this past summer for Team Triumph! 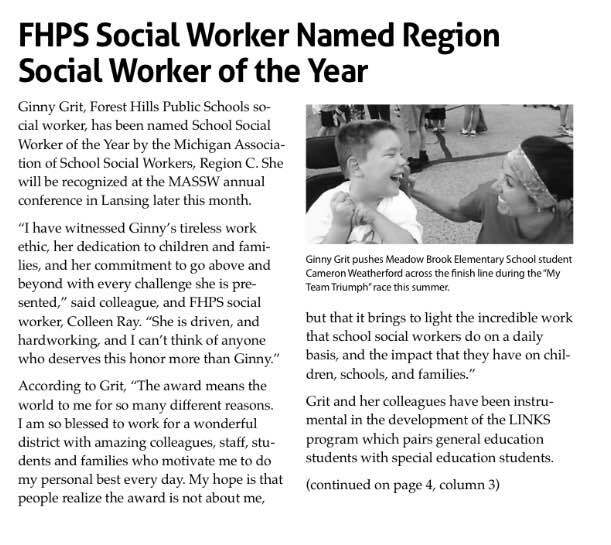 We are so happy to see our friend Ginny receive this honor! Over the weekend, the boys sported matching sweatshirts. Jane thought they looked so handsome, she had to ask for some posing. Cam's response: "Let's take a picture by the fireplace. It looks nice." Thank goodness our son supports his mom's habit of taking "just one more" picture! (Dad) You and I will be twinsies today. I have heard of twins, but I have never heard of "twinsies!"